Crystalens is a new type of IntraOcular Lens implant designed for the aging eye that has developed a cataract. The typical cataract correction involves a surgical procedure to remove the cloudy natural lens and the insertion of an IntraOcular Lens implant (IOL). Read more on cataracts here. 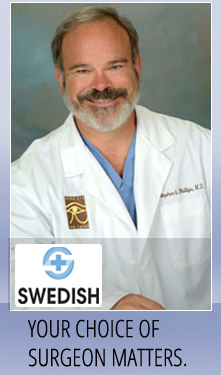 Dr. Phillips is certified as a Crystalens surgeon. He was one of the early adaptors in offering this type of surgery to his patients and has been performing Crystalens procedures since 2005. Crystalens is the first and only FDA-approved accommodating IOL. Since it’s approval in 2003, most patients have continued to report excellent vision after implantation with Crystalens. More than 200,000 Crystalens IOL implants have been implanted worldwide. The Crystalens IOL is not covered by Medicare and other insurances, but is available to patients as a premium IOL upgrade, for additional fees. We’d be happy to discuss the Crystalens and other premium upgrade options with you. Learn more about the FDA’s approval of the Crystalens here. Visit the Crystalens website here.